The site of Lea Ford Cottage, a timber-framed house which was built during the Post Medieval period is our next stop. 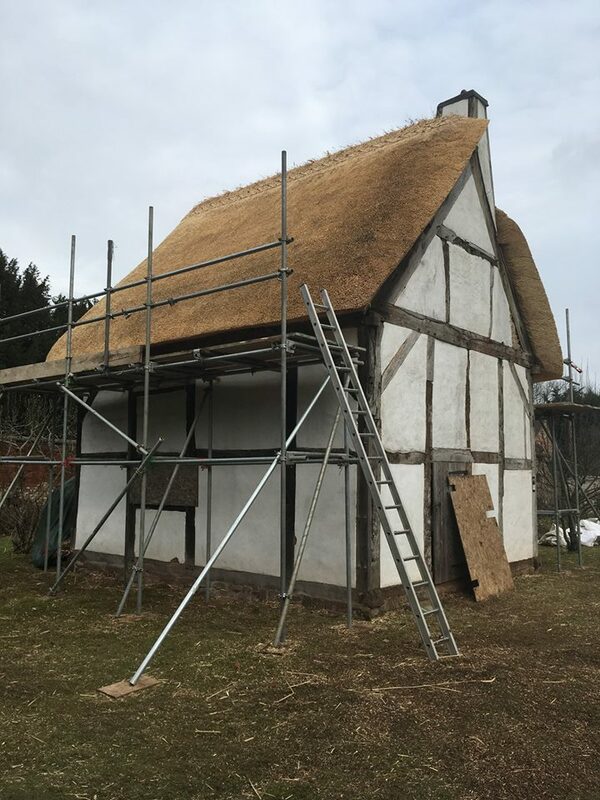 Work began this month re-thatching the 17th century farm cottage (originally from Lea Marston) which is now situated at Hams Hall. In 1975 the building was dismantled and moved. 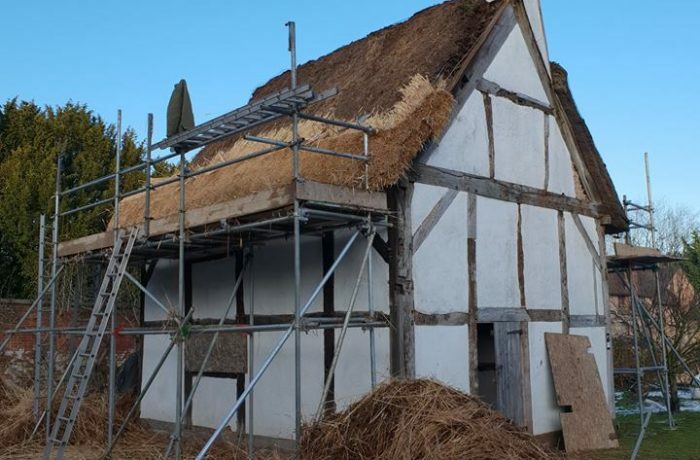 The old layer of thatching has been taken off and new layers have been put on. The old thatch is being made useful in a bonfire to keep the cold at bay! 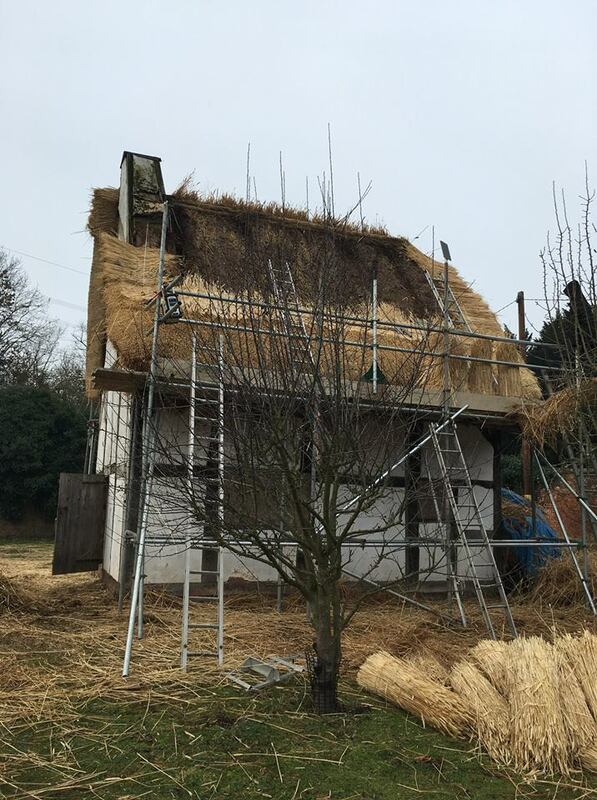 Heart of England Master Thatchers are using a Legget to drive the combed wheat reed into place on the roof and any areas where the thatch is thinner are secured with screw ties. 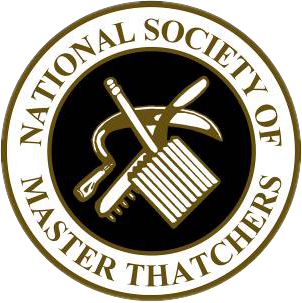 Where the long ladders don’t reach, shorter ladders called Hanging Ladders are used – these stick into the thatch roof and let our Master Thatchers access its entire span. 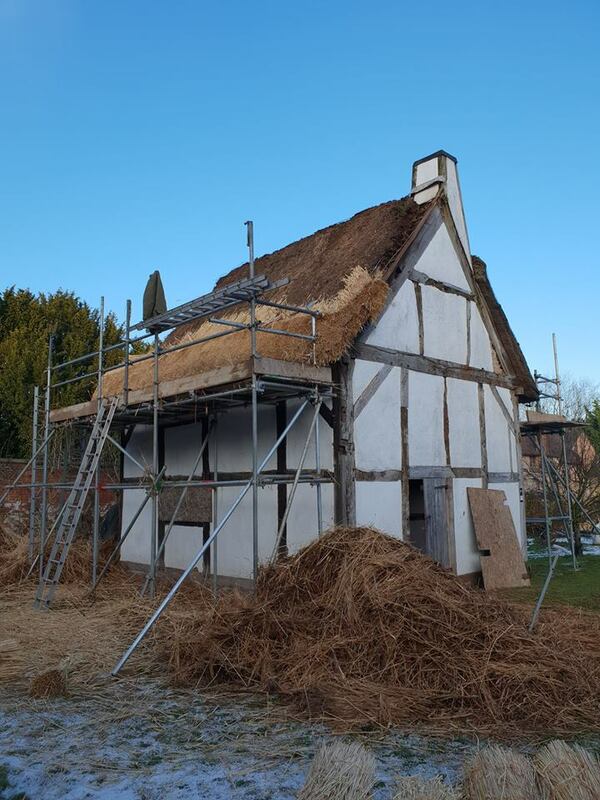 As well as maintaining the historical integrity and authenticity of the cottage, the combed wheat reed thatching is weatherproof, insulating and environmentally friendly. Over time, its golden colour will naturally fade and darken slightly, blending in with its surroundings.